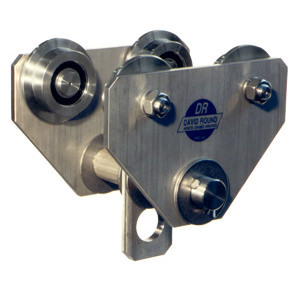 The David Round Company manufactures stainless steel versions of its most reliable lifting products, including trolleys and drives. Industries that require the use of cleanroom applications rely heavily on these stainless steel versions since they are corrosion-resistant. Types of trolleys and drives include fixed wheel and articulating styles.